Peggy S. – Buderim, Qld. 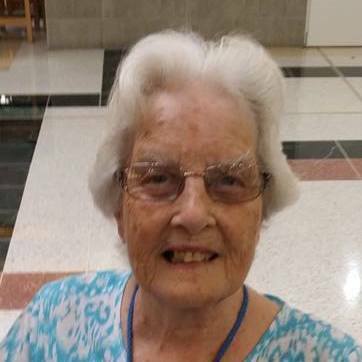 "When Mum had early stages of dementia, I worried when I wasn't home as she had started to wander off on walks. I felt better with the alert pendant as I could track her location by text or calling the pendant throughout the day if she wasn't answering her phone." We caught up with Catherine out and about in Port Elliot wearing her FDC Alert. Such a lovely lady. 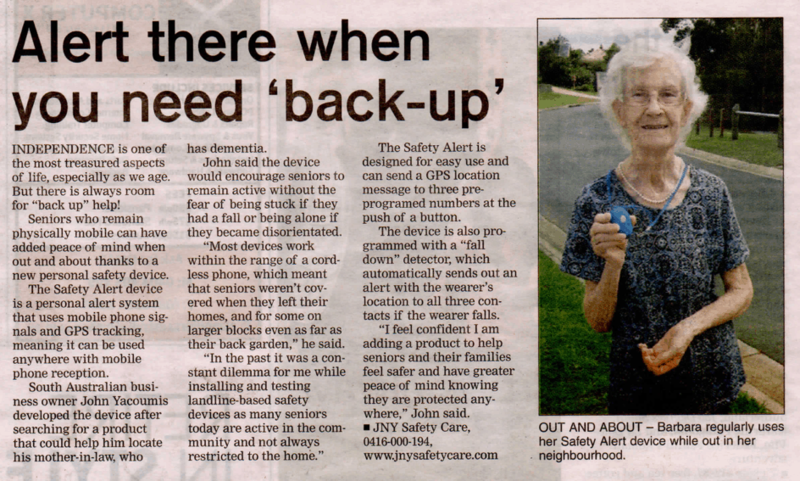 We purchased a JNY Safety Alert FDC for my 90 year old father as he was living alone on his farm after my mother passed away. Dad has diabetes and we were worried for him living alone. At first he wasn't keen to wear it as he didn't want to appear to be old. He soon got used to it and found it was no problem to wear during the day and then place on the charger beside his bed at night. Sadly Dad suffered a stroke early one morning. He fell on the floor while getting dressed and his Safety Alert did it's job and sent out a fall alert. This saved his life as he was in a very bad way and if not for the alert he wouldn't have been found until the next day. I'm happy to say that he has made a full recovery and is now living in an aged care facility and we have now passed his safety alert pendant on to my mother in law to do its job all over again. An absolute wonderful product that every aged person living alone should have. Thanks John for a wonderful product and for all the help you have given me. 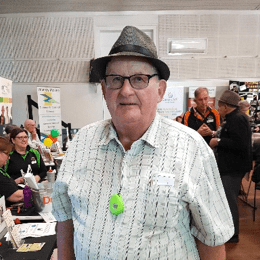 I have been recommending the pendant to all my friends, it works well as far as I’m concerned, I feel secure wearing it especially when I’m out in the middle of the Murray Mallee.